We first met Sarah from www.craftsfromthecwtch.co.uk just after we set up LoveKnitting, and have loved her and her blog ever since! Her blog is as old as we are, and we have loved watching it grow and develop over the last couple of years, as we have. If you haven’t seen it, Sarah once did an interview for us which you can read here. In the last few weeks, we have also fallen completely in love with her Mum, Lynda Lewis, as we watched her on the Great British Sewing Bee. Everyone was so upset in the LoveKnitting office this week, and felt she really deserved a place in the final. Sarah has been following her mum’s progress on her blog, and has interviews with many of the contestants, including her mum, here. So we were absolutely delighted that Sarah has written an exclusive pattern for us for Easter. And, even better, you can download this gorgeous Dangly Bunny for free until the end of June. We have used a TOFT pompom for the bunny’s gorgeously soft tail. Depending on how big you want the bunny in relation to his lovely tail, you have the option of knitting the bunny in Bergere de France Lima for a wee bunny or Rowan Felted Tweed Aran for a slightly larger one. Why not make both so they could be best friends? Make The Bunny For Free! Our Dangly Bunny is so cute – but s/he needs a name! Simply comment below and tell us what you would name your bunny and we will send you all the materials to make him/ her! We will ask Sarah to pick her favourite name on Friday April 11, 2014. Thank you for entering! This competition is now closed. Well done to Yvonne, who chose Tilly and Edgar for our lovely Dangly Bunnies! Find out about our latest competitions by signing up for our newsletter here. We tried to take lots of photos but SOMEONE was being naughty and kept photobombing them! And just look at her results!! To download the pattern: click on the picture above and the pattern will open in a separate window. Be patient; it can take some time! If that doesn’t work, right-click instead and select ‘Save link as…’ This will save the pattern as a pdf on your computer, which you can then find and print. If you’ve clicked on the pattern and nothing seems to be happening, your computer may have saved it as a pdf; try looking in your ‘Downloads’ folder. Helen A newbie knitter slowly becoming more and more obsessed. Helen loves autumn, good food and can't decide between cats and dogs. She is also inordinately fond of her potato peeler. Last updated: April 22nd, 2014. The bigger bunny should be Phoofey and the smaller one is Hoppy. Such a cute pair! Daisy and buttercup, spring bunnies. The little one’s name is obviously ‘Spencer’, and his beautiful mama is ‘Lara’. Ok I have the pattern but, what size double pointed needles do I use? I think a great name for the bunny would be Betty. Hi and thanks for the lovely bunny pattern. I would name her Ophelia and him Cinnabun. How about “Not Cross Bunny” in honour of Easter. For a boy it would have to be Buster Bunny, and a girl would be Honey Bunny 🙂 Love the pattern and will be knitting it sometime 🙂 thank you! Sorry. I’m in Australia where we traditionally have Hot Cross Buns on Good Friday, so the name is a play on words. Not sure if you have them in USA. Just thought I’d clarify. Josephine and Peter for Peter rabbit and his mother. You could have a whole family with Flopsy, Mopsy and Cotton-tail and you can’t forget cousin Benjamin! Scarlett O’Hare and Hoppin’ John. I think I’ll call my rabbit Stew! Dangly Danny – or Dangly Danni if it’s a girl rabbit! I really enjoy knitting animals for children ( and one of course for myself). I have many patterns but these cutie pies really tickle my funny bone. The little girl with the bow in her hair of course will be Belinda and the dapper boy with the bow tie would be Beauregard. Thank you so much for your pattern. Regards….. I would make the big one the boy and name him Stringbean and the wee one would be a girl and I would call her Junebug. I would name him Schumi, after the pet rabbit I had who was my best mate during my tricky teenage years. He lived until he was 12 and is still very much missed! 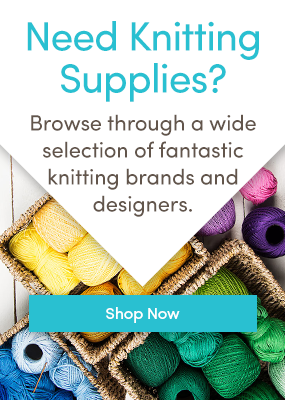 I’m a knitter, but am too scared to try dpns. Thanks for the tip about the wooden ones! Hercules, mainly because I am trying to persuade my husband that the children (who am I kidding?? I’ll confess here, it’s me….. don’t tell anyone) want a couple of rabbits or guinea pigs to call Hercules and Spitfire. Him indoors says no, so a fluffy bunny would be an excellent substitute. My daughter is obsessed with rabbits, she has 7 toy ones that are resident in her bed. She says she needs a Daddy rabbit, as hers are all girls. So big bun would have to be “Poppa” & the little one “Charlie” as her name is Charlotte (known as Lottie). The Rabbits belong to the Four Pin Burrow Family and are Called Pearl and Cable. Pearl has to keep an eye on cable as he is bit of rib tickler. Got to hop off and download the pattern. Thanks. They are gorgeous bunnies. Mine will be called Warren & Wendy. Starting from tomorrow (hope the family don’t want an early dinner). Tilly and Edgar – what a wonderful pair. Well Done, Yvonne – Tilly and Edgar have been chosen by Sarah as the winning names! I have emailed you about the prize. I would make a girl and call her Beatrice Bunny (BB for short). I am going to knit a little girl bunny for my granddaughter for Easter as she to too tiny to have an Easter egg. I think Sir Hopsalot will be the name of the boy bunny I’ll make for my grandbaby Caden!!! These two bunnies look like Esther Rabbit and Peter Rabbit. Bonnie and Bobby Bun Bun. Simple and easy to remember. I would love to make the bunny for my first grandson due on 12 July. I’d call it Albert, because it’s perfect for such a loose limbed bunny! She looks like Lucinda and he looks like Louie….i chose these names as a tribute to Sarah’s Mum Lynda and a play on the surname Lewis! Love these! My mom and gram made these types of things for us when we were little (which is too many years ago to mention). I still have the pink flying pig that rattles when you shake him. I would name them Aster (after the spring flower) and Alfie. I would definitely call my bunny Sophia – after my granddaughter who has a snuggle bunny that goes everywhere with her. This would be a welcome addition to her collection. I would call her Flora and him Fauna. I would call them a Frank and Lilly! I would call them Lucy and Lucifer Longlegs a very apt name I think.